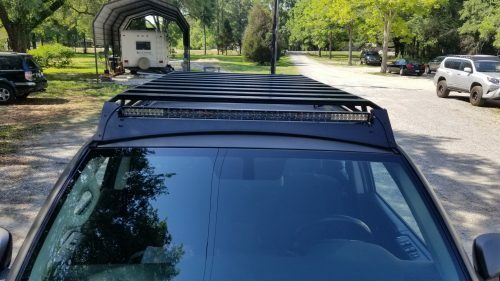 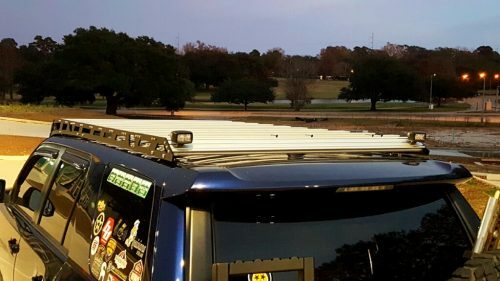 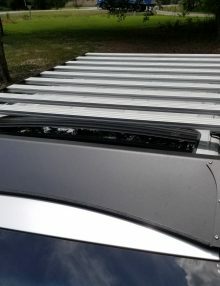 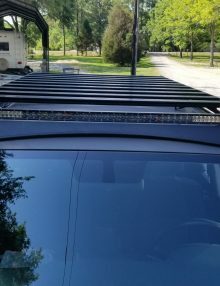 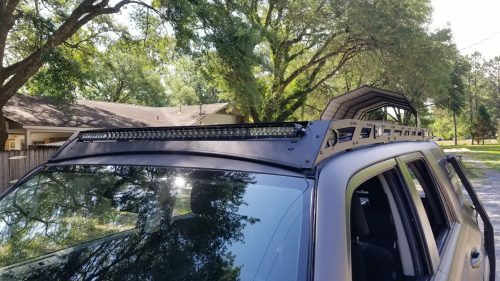 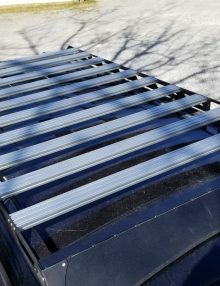 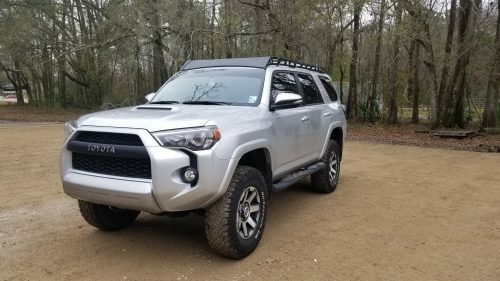 The 5th Gen 4Runner Roof Rack is a ruggedly light weight rack which allows the utmost in flexibility for your cargo with 3″x 1″ slotted aluminum extrusions as the cross bars. 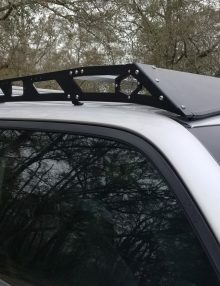 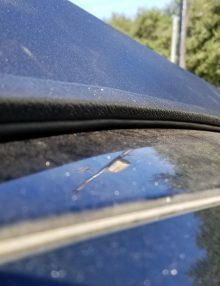 The flat top and t slot cross bars allow for an endless combination of accessories, tools, or even roof top tents to be attached. 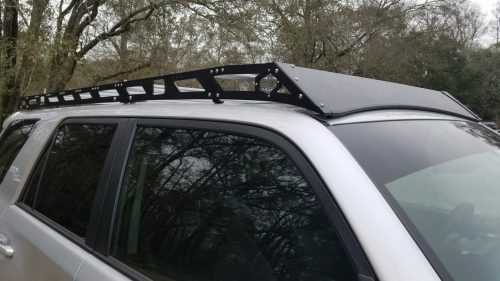 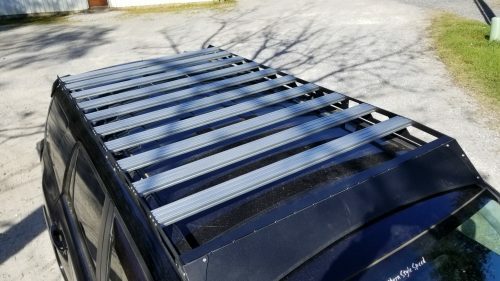 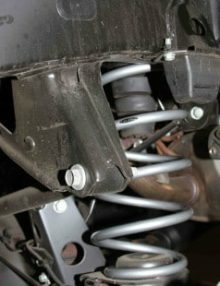 Comes standard with 8 aluminum cross bars. 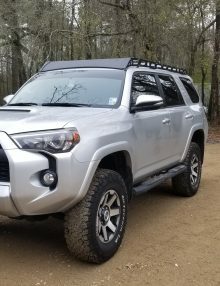 The 5th Gen 4Runner Roof Rack is a ruggedly light weight rack which allows the utmost in flexibility for your cargo with 3″x 1″ slotted aluminum extrusions as the cross bars. 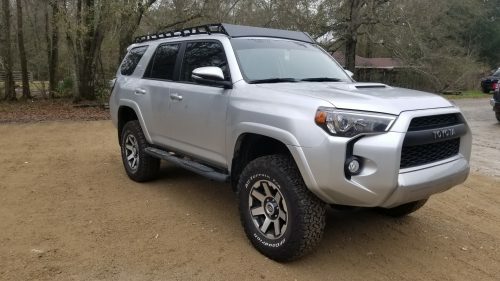 Aerodynamic in design, the all aluminum 5th Gen 4Runner Roof Rack comes standard with 8 aluminum cross bars. 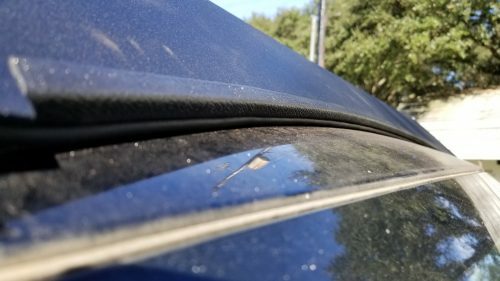 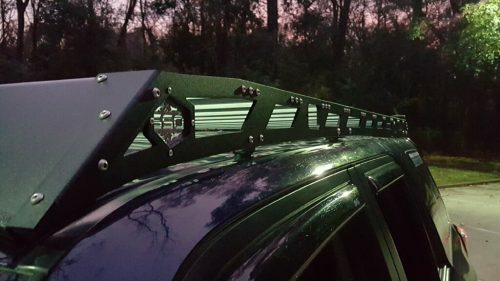 Additional cross bars are available for purchase. 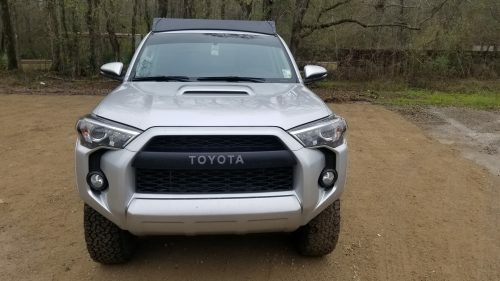 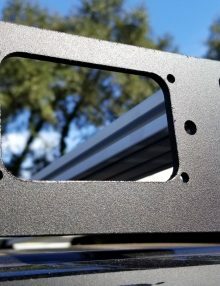 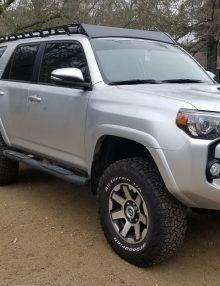 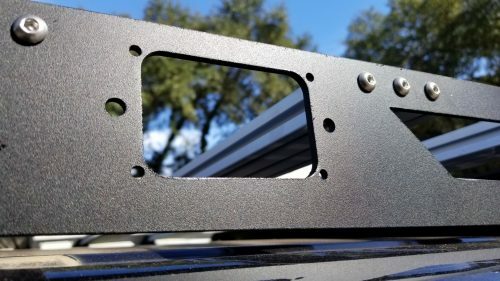 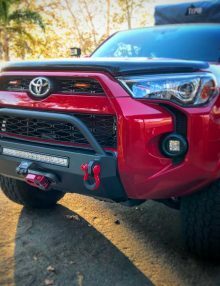 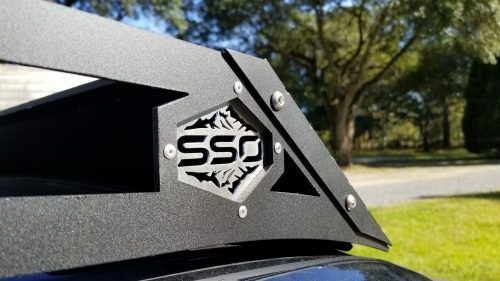 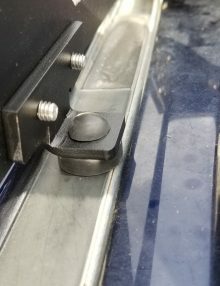 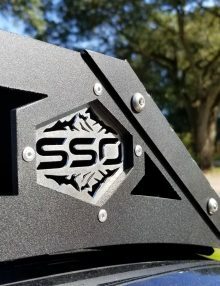 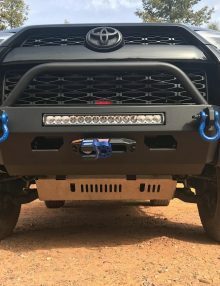 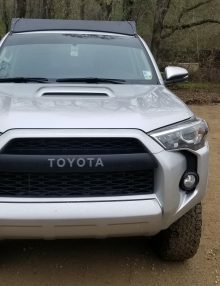 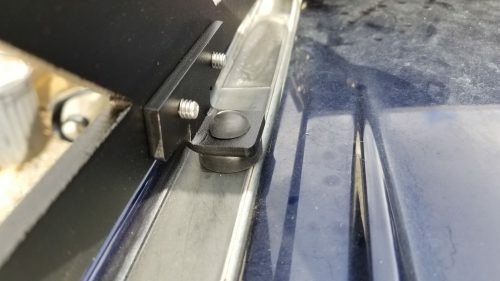 The frame is finished with a matte black powder coat and attach to the 5th Gen 4Runner with supplied mounting brackets at the OEM locations and a front support with rubber foot. 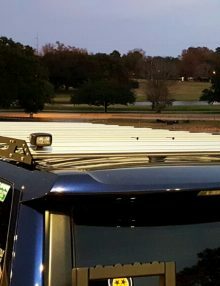 The front wind fairing is sealed to the roof with a soft rubber bulb for the least amount of wind noise. 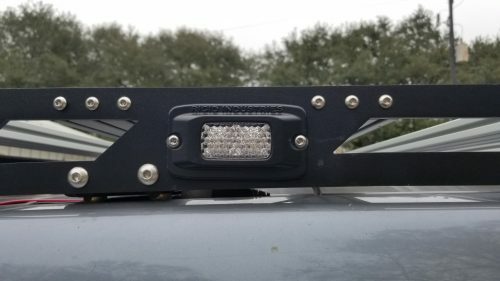 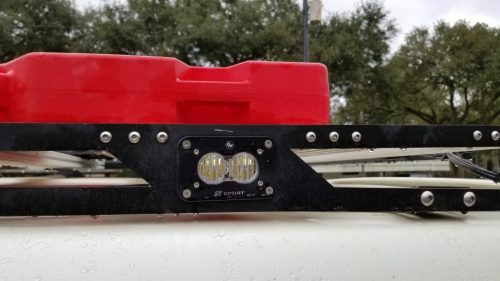 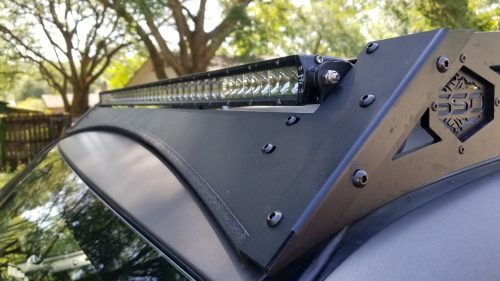 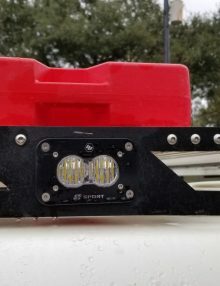 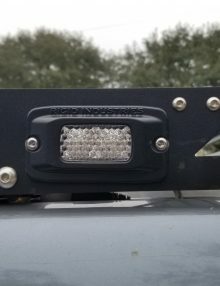 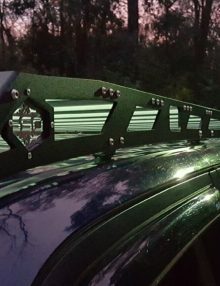 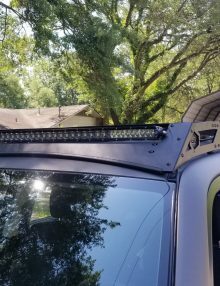 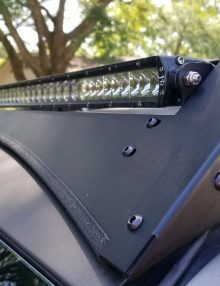 Enhance your roof rack with either Baja or Rigid lights to provide additional lighting for your outdoor adventures.